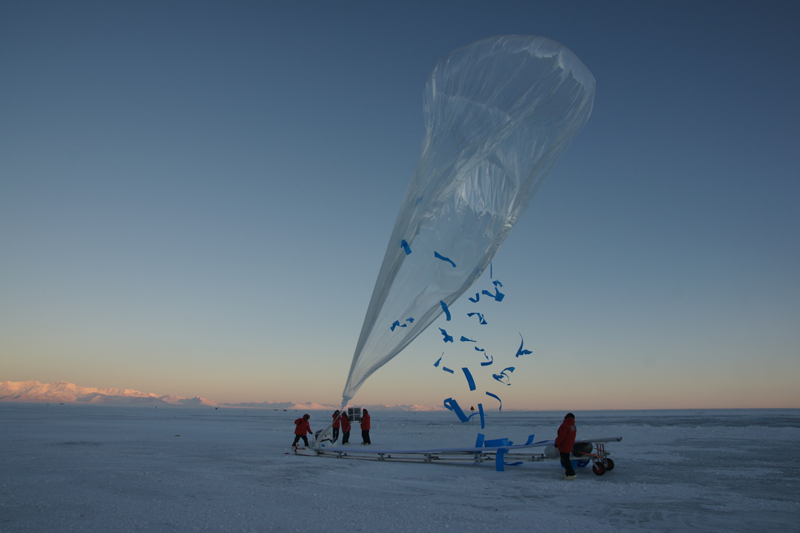 In September and October 2010, 19 stratospheric balloons designed by CNES were released in the Antarctic Polar Vortex. The data gathered during the Concordiasi campaign are extremely promising. Philippe Cocquerez, Concordiasi project leader at CNES. Credits: CNES. The French-American team (1) that conducted the Concordiasi campaign arrived at the U.S. McMurdo polar research station in August 2010. Ross Island, the small volcanic island on which the station is located, is surrounded by the ice sheet at this time of year. August is the end of winter, when temperatures fall as low as –40°C. Few researchers use the base during this period. Launch of a superpressure stratospheric balloon, part of the Concordiasi 2010 campaign. Credits: CNES/P. Cocquerez. “One of the campaign objectives was to study the mechanisms behind ozone depletion in the lower stratosphere, at altitudes between 18 and 20 km. This depletion occurs at the start of the southern hemisphere spring, when the sun reappears,” explains Philippe Cocquerez. 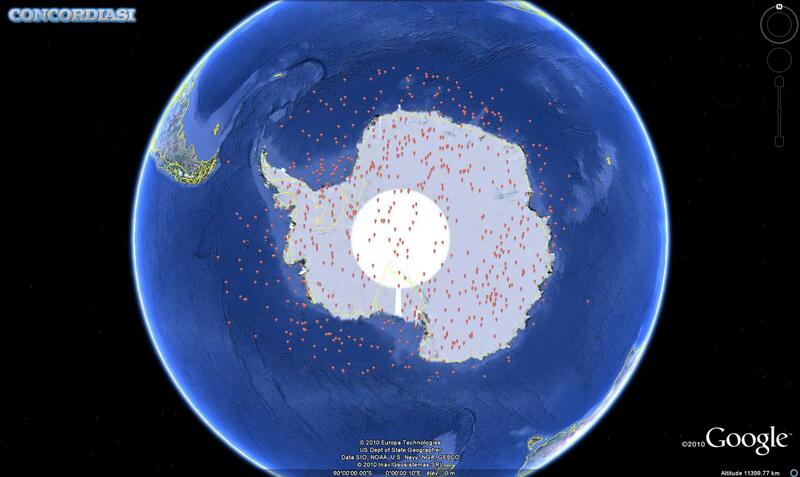 Positions of the dropsondes released over the Antarctic during the Concordiasi 2010 campaign. Credits: 2010 Google. The balloons, designed by CNES engineers, were this time able to carry 50 kg of equipment (2). In another first, 13 of the 19 balloons were able to probe the atmosphere (temperature, pressure, humidity and wind) by dropping small radiosondes, by remote control. “The MetOp-A satellite conducts these types of measurements with the IASI instrument. 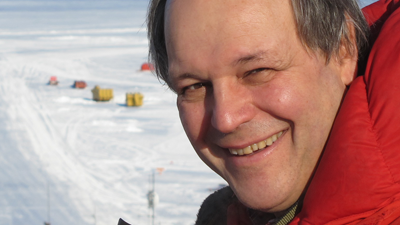 But data interpretation is distorted at the poles by the extremely cold atmosphere and highly variable ground conditions, with snow cover at times, ice at others,” says Philippe Cocquerez. The idea was therefore to drop the radiosondes while MetOp-A was overhead in order to compare the satellite data with in-situ measurements. Over 600 atmosphere profiles were conducted, which will subsequently help to improve the accuracy of weather models. 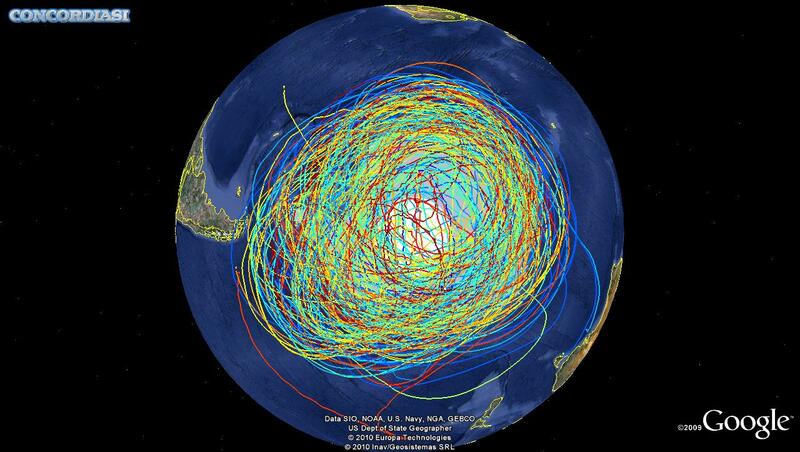 Trajectories of the 19 balloons launched during the Concordiasi campaign in the Antarctic. Credits: 2010 Google. Once the IASI instrument is perfectly operational in the polar regions, that will be a major asset for meteorology,” notes Philippe Cocquerez. (1) Centre National de Recherches Météorologiques (Météo-France / CNRS) – programme coordinator, CNES, CNRS/INSU, NSF, NCAR, University of Wyoming, Purdue University, University of Colorado at Boulder, Alfred Wegener Institute, Met Office and CEPMMT. (2) A first balloon release campaign (Stratéole-Vorcore) was conducted in 2005. Balloon payload capacity at that time was around 15 kg.